For someone on the outside looking in, she had it all. Beauty, notoriety, influence, financial security. 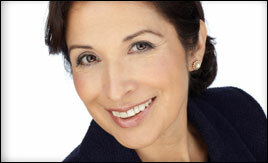 Millions of people regularly watched her news reports on the national TV show, CBS This Morning. She had won several Emmy Awards for her outstanding work, rubbed shoulders with Presidents, First Ladies, Actors and Musicians and covered human interest stories from wildfires to crimes. However, when her husband of seventeen years unexpectedly asked for a divorce, she was thrown into a deep emotional crisis, questioning her identity and value. and her siblings got to go back to Idaho to see their grandparents, were like an oasis for a thirsty traveler. There she experienced unconditional love, plenty to eat, comfy beds, forests to explore and rivers to swim. Another light during dark days was her Aunt Teddy, who deeply cared for her and her siblings. She would shower them with attention, take them on little discursions, and encourage them to memorize words from the Bible, such as the 23rd Psalm. Although the words didn’t make much sense to her at the time, somehow, her current crisis brought them back. She began to meditate on them and find encouragement and strength. As she reflected on her childhood and the seemingly random experiences she had made while covering news stories, she began to see a pattern emerge that showed her that God had always been near. One night while covering the Oscars Awards show in Hollywood, she felt drawn to a church near the auditorium and experienced a profound touch by God, coming to her rescue, blessing her in a powerful way. 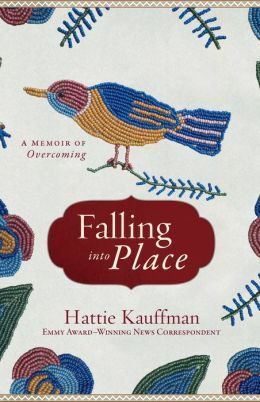 I hope you take the time to read Hattie’s insightful, deeply moving story, but even more importantly that you to realize God is there for you too, right now, waiting for you to respond to his extended hand. This is an absolutely wonderful book! Hattie allows us a look inside of her family history and personal life to see the inspiring life that God has given to her throughout. God opens doors in her life that have led to her amazing career and spiritual growth. I highly recommend it. Thanks YWAM!